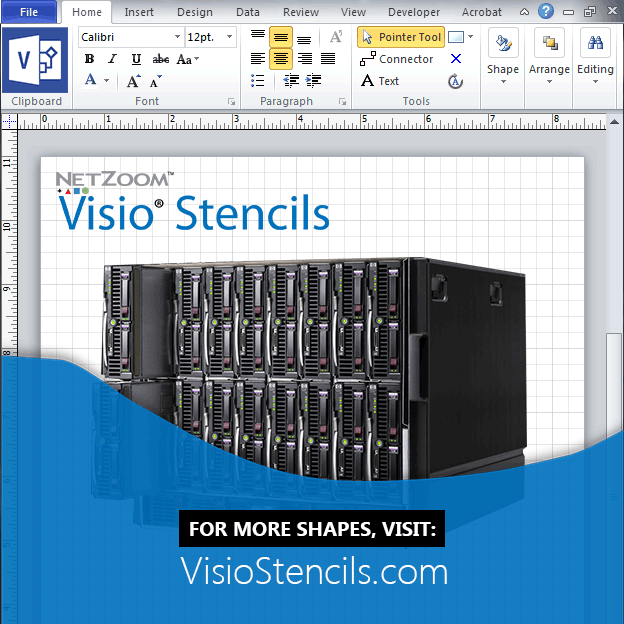 Experience the quality of NetZoom Visio Stencils for yourself, free of charge. You're going to like the way your Visio diagrams look. Our sample Visio stencils represent equipment made by major hardware manufacturers. The samples offered are precise, functional illustrations of devices found in a typical data center infrastructure, including racks, servers and storage equipment, audio-video cables and equipment, and logical equipment. Our sample Visio templates provide the environment which will contain the specific stencils, such as for racks and rows of racks. Some of the basic shapes or stencils you would find in a rack are included with the template. These samples also provide precise, functional illustrations of devices found in a typical data center infrastructure, including racks, servers and storage equipment, audio-video cables and equipment, and logical equipment.